What is blue light and why it is dangerous for eyesight? The blue light is within the optical radiation spectrum. Blue light wave lengths of 400 to 500 nm are short waves containing great energy and capable of photodamaging (the damage by light radiation) of the eye tissue. How the blue light damages the eye retina? Beside the crystalline lens, vision is configured also by the fundus and the retina. The retina consists of two parts: the central part (macula) and the periphery. The macula houses the cells responsible for vision acuity and colour perception. The retina accumulates the lipofuscin pigment with age. The light-catching molecule found in lipofuscin is very sensitive to blue light radiation. And under prolonged blue light exposure the light-catching molecule emits free radicals. And free radicals are strong oxidizers. They disturb vital activities in the retinal cells leading to their death and vision loss. Retina photodamage leads to such decease as the age-related macular degeneration (AMD). This disorder is rather difficult to cure but may lead to substantial vision loss and even blindness. The age-related macular degeneration is usually developed after 50. However the age-related macular degeneration can also be triggered by blue light damaging the retina. Is there a protection against the blue light affecting the eye retina? The natural protection against the blue light is provided by the human crystalline lens. The mechanism of optical retina protection. The human natural crystalline lens go yellow with age. The crystalline lens yellow colour blocks the blue light penetration thus safeguarding the retina from photo-damage. However when the crystalline lens is extracted in case of cataract, this natural barrier for the blue light is removed as well. And the retina cells are under the negative impact of free radicals. 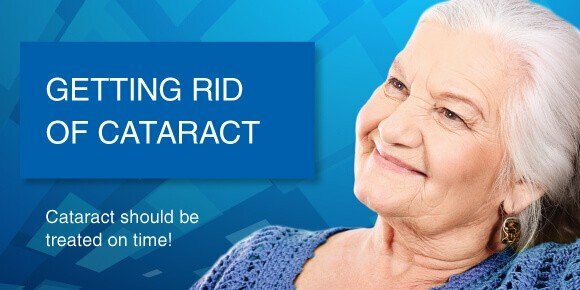 This by large increases the risk of AMD development. The crystalline lens yellow pigment protects the retina from blue light and age-related macular degeneration development. Are there artificial lenses with blue light block? It is extremely close to the human natural crystalline lens specifications. AcrySof Natural lenses have a special yellow colour filter that blocks both UV and blue light reaching the retina. The yellow colour of AcrySof Natural provides colour perception very close to the natural. Colours and brightness after the cataract surgery using the IOLs are identical to the natural vision. And such problems as objects turning bluish, too vibrant colours and blurred images often found with the use of other IOLs implantation are not detected in case of AcrySof Natural. The AcrySof Natural is recommended for implantation in children, in cases of the existing maculodystrophy and glaucoma, diabetes mellitus and other associated pathologies. Read more on Acrysof ReSTOR lens.